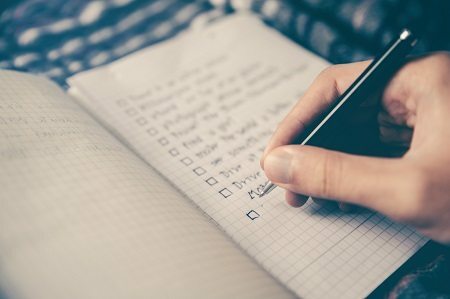 Let WooCommerce help with your online store to-do list. Running an online store requires you to wear a wide variety of hats. From product creation to marketing genius, sometimes you feel like you have to do it all. What if there was a tool that made your life easier? WooCommerce helps to simplify the creation and running of ecommerce stores. It’s one of the top WordPress plugins and among the top ecommerce platforms. It’s packed with powerful features that help you do far more with your store. Looks are important when it comes to online stores. Would you really want to shop on a site that looks more like a poorly designed personal blog? No. You wouldn’t trust it. One of the reasons 28% of all ecommerce stores use WooCommerce is the plugin helps them to create a professional looking store. Not only does it help a site look more professional, but it provides you with all the features a shopper would expect, such as shopping cart management, an easy to use checkout process and easy to browse product pages. While large businesses might have plenty of money to invest, small businesses and startups aren’t usually that lucky. WooCommerce was created to help everyone create an online store to be proud of. The basic plugin and features, which are ideal for smaller stores, are completely free. The best part is if you need to upgrade, you don’t have to purchase everything. You only pay for the extra features you need. It’s no secret that WordPress is often a target for cybercriminals. However, WooCommerce has a dedicated team that creates regular security and feature updates. Add this to the regular security updates for the WordPress platform and you have a secure online store. Along with security, WooCommerce is compatible with numerous themes and plugins. To prevent any annoying theme conflicts during updates, WooCommerce even has their own set of themes to ensure you don’t lose site functionality during updates or upgrades. Analytics are crucial for any business, physical or online. However, far too many businesses complicate analytics or don’t gather data at all. With analytics tools and plugins, you mainly get data about page views, bounce rates and other details about your website. With WooCommerce, you get data about your products and conversion rates. For instance, if you have five featured products on your page, do you know which one gets the most clicks? Which one converts best? Which leads to further sales of other products? What about how far shoppers go into the checkout process before abandoning their carts? Analytics help you better understand your conversion rates and execute improved marketing strategies. The best part is all of these is built into WooCommerce. You don’t need yet another plugin to help you gather data about your sales and products. While all of the above is great, WooCommerce shines most when it comes to customisation. The sheer amount of customisation might seem overwhelming at first, but once you’ve explored your options, you’ll love it. There’s very little you can’t customise. The idea is to help you create the ideal store for your needs. This is part of why WooCommerce has become so popular. It fits every business in every industry. With a few tweaks, your online store looks just like you want and incorporates the features you need, such as automatically calculating taxes, managing inventory and displaying your products so shoppers want to click to find out more. Are you building an online store? Contact me today to learn more about WooCommerce and how to use it to create the best possible ecommerce store.